Everstone is a wedding band collection established in 1980. We have dedicated to making wedding rings for over 30 years. All of the beautiful pieces are manufactured to the highest standards, by highly skilled workers using the titanium. Why choose titanium? 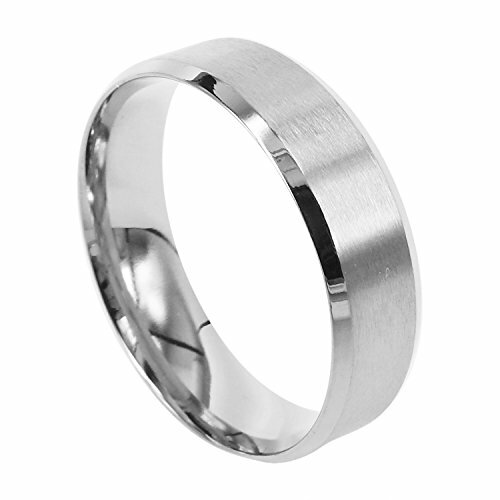 Titanium provides several unique factors that make it the ideal metal for jewelry rings, it is very strong more dent, bent, and scratch resistant than gold, silver, and platinum, is lightweight and importantly offers an exotic array of colors which other metals simply do not. Our titanium is also 100% hypoallergenic and will not produce skill irritation or discoloration. Only high quality of materials will be used for rings making. We also provide fast, safe and free worldwide shipping services. It takes only 3-5 days to the UK, 7 days to the US and within 14 days to EU. Since we have warehouses all over the world, we assure that our products will be delivered to you soon after you made the purchase decisions. Our rings are designed to celebrate the best moment in life so we ensure that all of our products are manufactured to the highest quality. We believe our rings will be the great companion for your life journey. If you have any questions about this product by Everstone, contact us by completing and submitting the form below. If you are looking for a specif part number, please include it with your message.